Goal at the World Health Organization (WHO) is to build a better, healthier future for people all over the world. Working through offices in more than 150 countries, WHO Secretariat staff work side by side with governments and other partners to ensure the highest attainable level of health for all people. It was established on 7 April 1948, headquartered in Geneva, Switzerland. The WHO is a member of the United Nations Development Group. Its predecessor, the Health Organization, was an agency of the League of Nations. The WHO Family is a suite of products that may be used in an integrated fashion to compare health information internationally. Internationally endorsed classifications facilitate the storage, retrieval, analysis, and interpretation of data and their comparison within populations over time and between populations at the same point in time as well as the compilation of internationally consistent data. Populations may be Nations, States and Territories, regions, minority groups or other specified group. 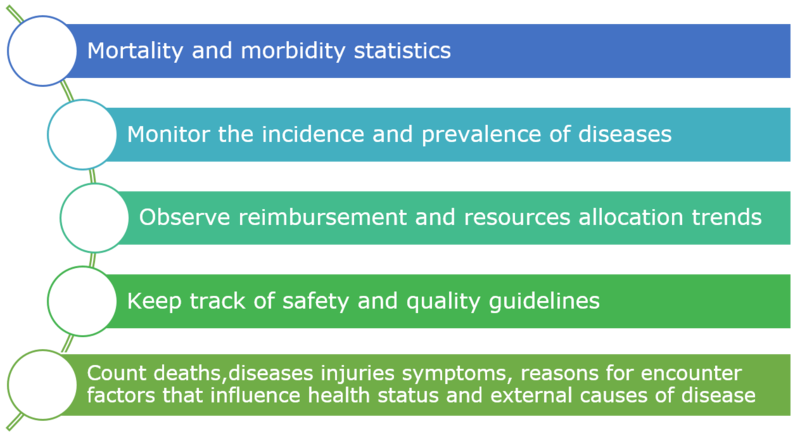 It is used to gather mortality and morbidity statistics, monitor the incidence and prevalence of diseases and other health problems, providing a picture of the general health situation of countries and populations.